This full one-day tour will bring you to the base of the Pastorouri glaciar at 5000 m.a.s.l.It takes 3 hours by bus followed by a 45 min hike along a slowly climbing path to reach this spendid glacier and its intensely coloured laguna.Those who feel like may rent a horse. Along this trip we make several scenic stops and discover some of the peculiar flora of the region. We mention especially the Puya-Raimondi, an impressive endemic plant of the high Andes.Its live-span is from 70 to sometimes 100 years and can reach a height of 12.After fowering only once it dies. 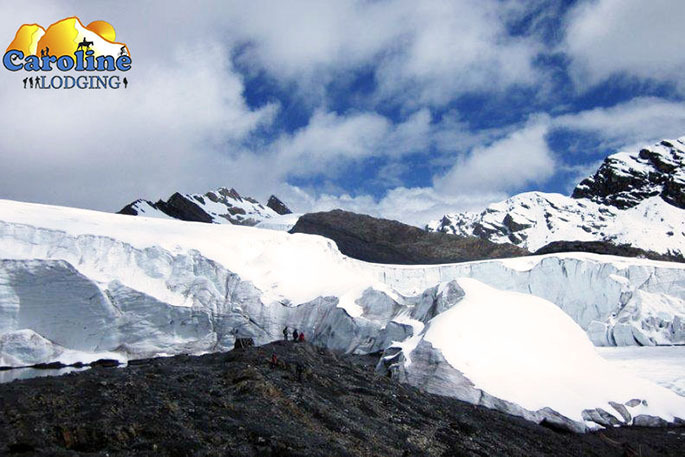 We will be back in Huaraz around 17 a 18 h.
Not inluded : The entrance fee for the Huascaran Park and lunch.